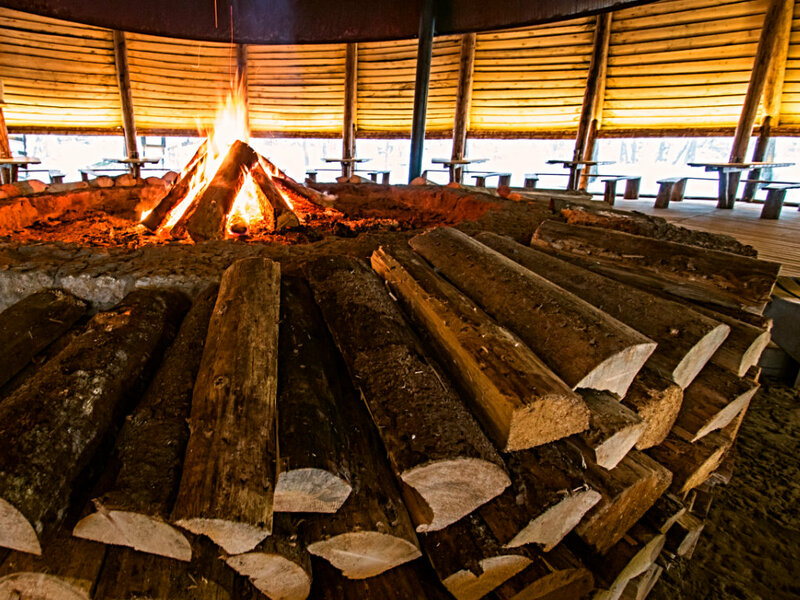 Raudsilla large tepee seats up to 400 guests and is warm even during the harshest winter months! 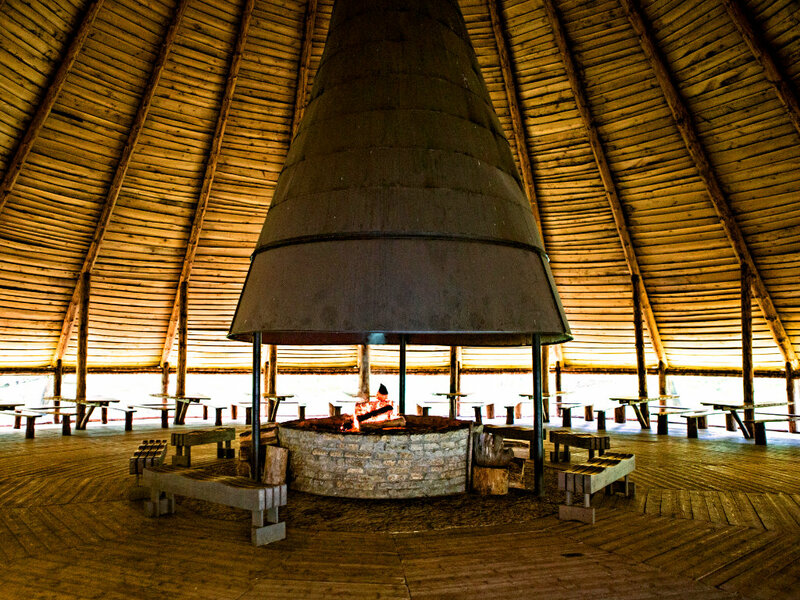 The large tepee at Raudsilla has a 30 metre diameter and is 18 metres high. Largest of its kind in Europe! 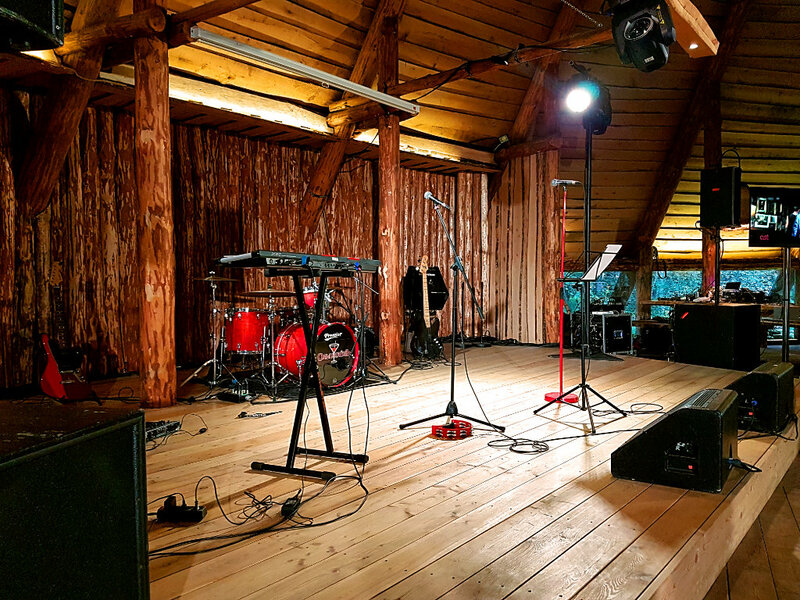 It fits up to 400 guests with ease. 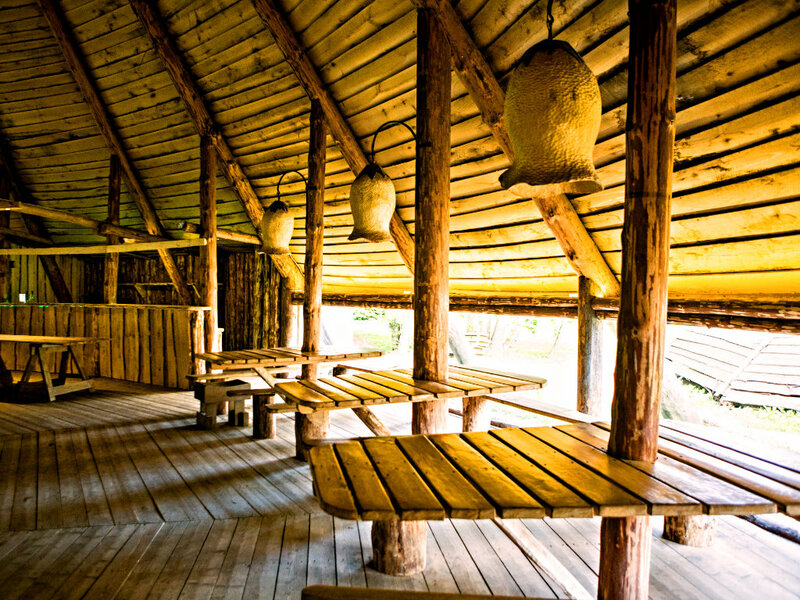 The walls of the tepee are made from glass, so that guests can enjoy the wildlife at Raudsilla. 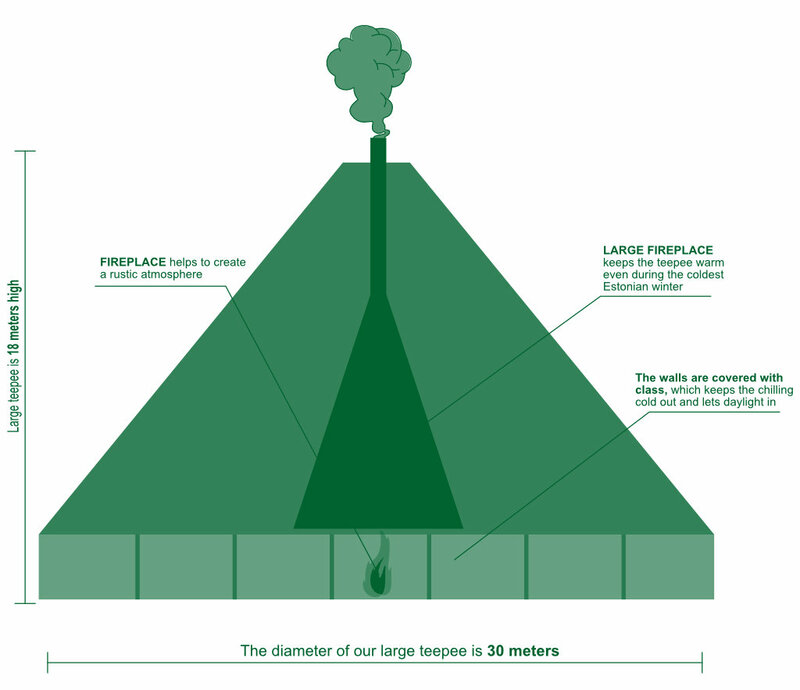 In the middle of the tepee is a 5 metre wide fireplace. We also have a stage measuring 9 metres by 5 metres and a bar. 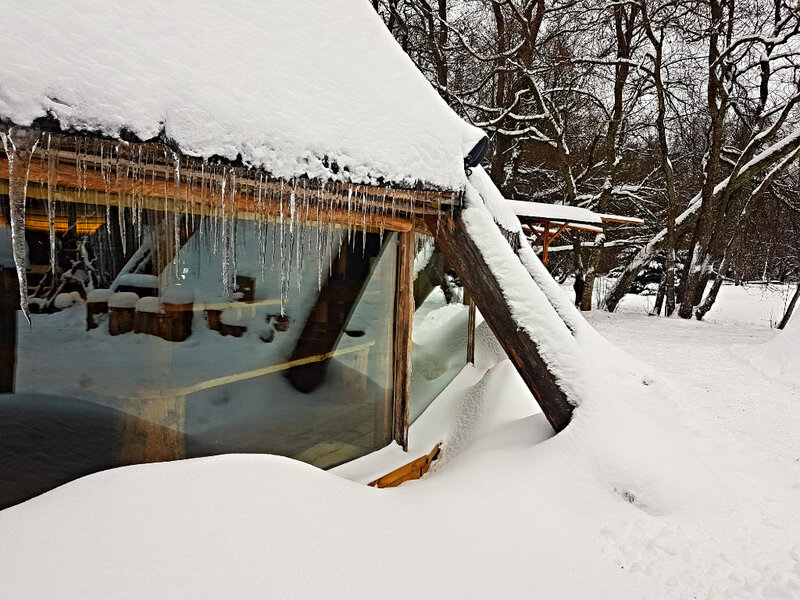 Despite its dimensions the large tepee is warm even during the harshest Estonian winter. 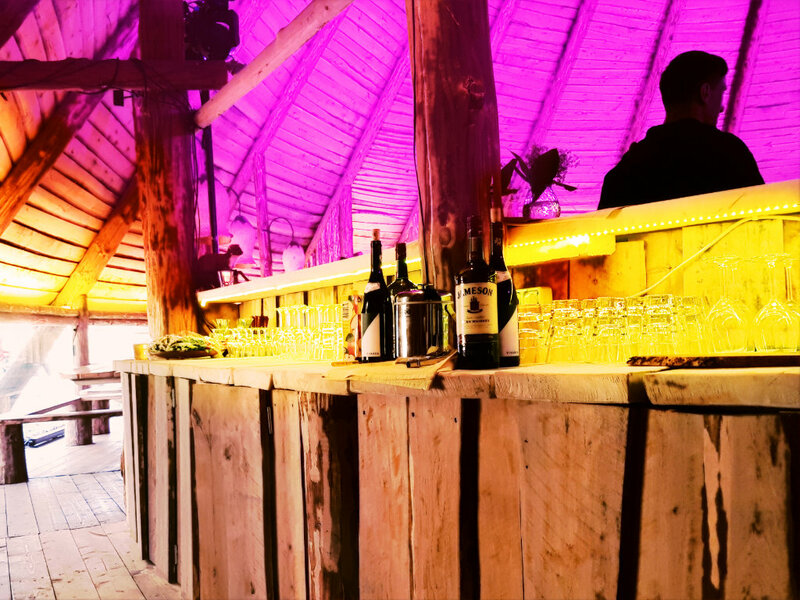 The large tepee is amazing- especially seeing it for the first time from the inside. Thank you to everyone in the Raudsilla family. A special thank you goes out to the chefs.